I was stupid. Instead of resting up and doing all I could to get myself better, I decided to persevere through it. On top of juggling a 9 month old baby, I carried on accepting freelance work and working from home, surrounded by snotty tissues, mugs of Lemsip and packets of ibuprofen. I learned my lesson the hard way. After almost 2 weeks of feeling unwell, I decided enough was enough and gave myself a much needed sick day. A day where I didn’t work, a day where I rested up and laid on the sofa (well as much as you can with a 9 month old). That was the first night I slept through without having a coughing fit or needing to blow my nose and the next day I felt so much better for it. So for all the mums and dads out there who don’t get the luxury of a sick day, here’s my top tips for coping when you’re sick with a baby. You’ve probably heard this since the day your little bundle of joy was born. I can count on one hand the number of day time naps I’ve had since my daughter was born. As soon as she’s asleep, I’m usually running around the house doing chores, completing freelance work or blogging. 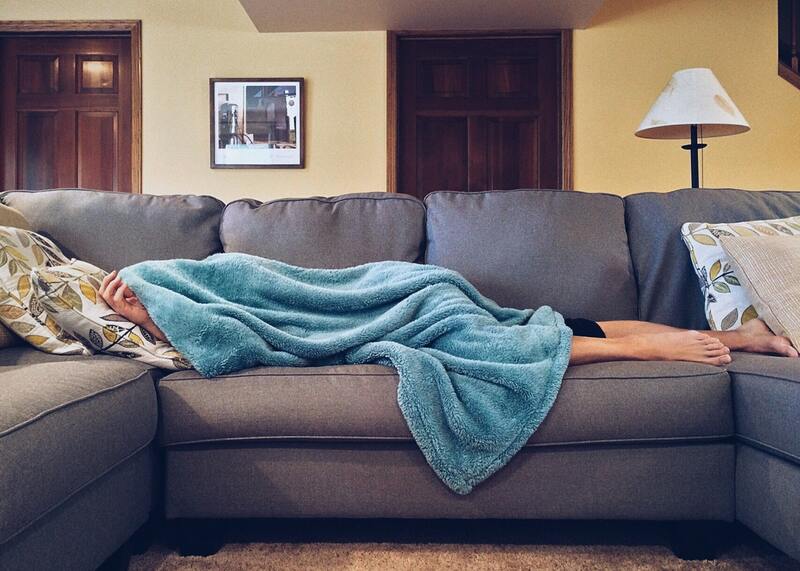 But, when you’re ill you really should rest up. So, if you’re like me and can’t fall asleep at the drop of a hat, forget the laundry, forget the washing up and instead lay on the sofa and watch a box set. Don’t be afraid to call in the troops and get the grandparents, aunts, uncles, cousins, friends etc to come round and help you out. Everyone will have been in the same position as you at one point or another and most won’t mind lending a hand. Depending on Cbeebies for a few days while you get yourself better won’t do your baby any harm in the long run. Obviously, it depends on your child’s age as to how long it will occupy them for, though. For a baby who’s just a few weeks or months old, it’s unlikely to be effective, but my 9 month old was quite thrilled to be allowed to watch Andy and co while playing with her toys. 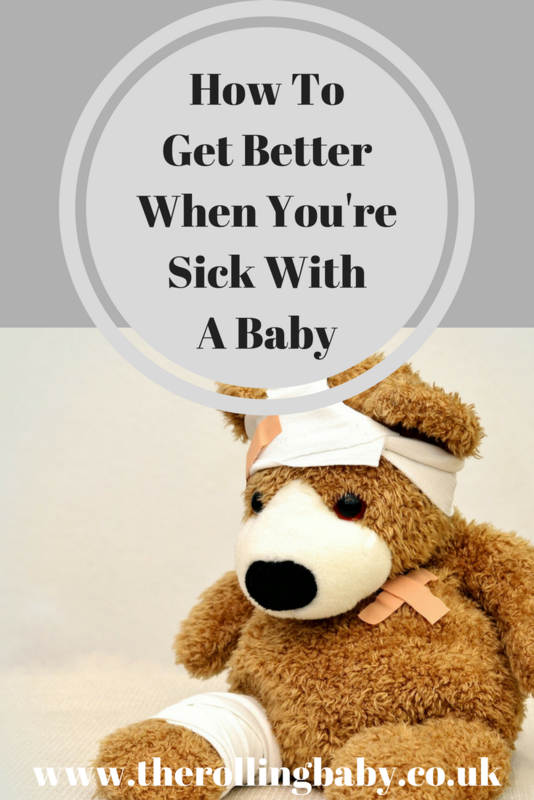 It sounds awful but I limited the time I spend in direct contact with my daughter when I was under the weather. The last thing I wanted was for her to catch my bug so I only picked her up etc when I really had to. I also ensured I washed my hands with soap and water frequently, coughed into my arm rather than onto my hand and had anti-bacterial gel to hand at all times. When you’ve got a baby, you can’t go too long without doing the washing as, before you know it, there will be a mountain at the top of the stairs which you can’t get past. However, does it all really need ironing or can you make do for a few days? I also adapted my meal plan to make it as easy for me as possible. We relied heavily on frozen food and I scraped Sunday’s roast dinner and we had a takeaway instead. Doing this eased my days ever so slightly and minimised what I needed to do, while ensuring we were all still fed. 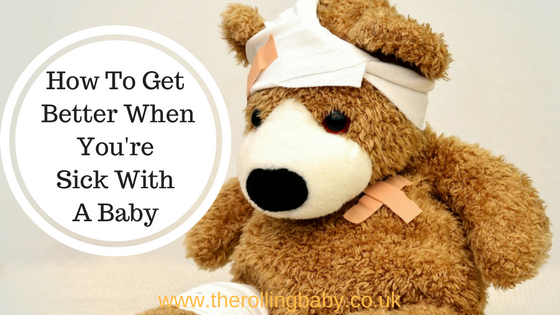 Have you been unwell while looking after your baby? How did you cope?